While this method of profiling is very nice, it requires running the Sap J2EE engine on java 6.0 which is not supported by SAP and causes some issues (ex: Visual admin issues). 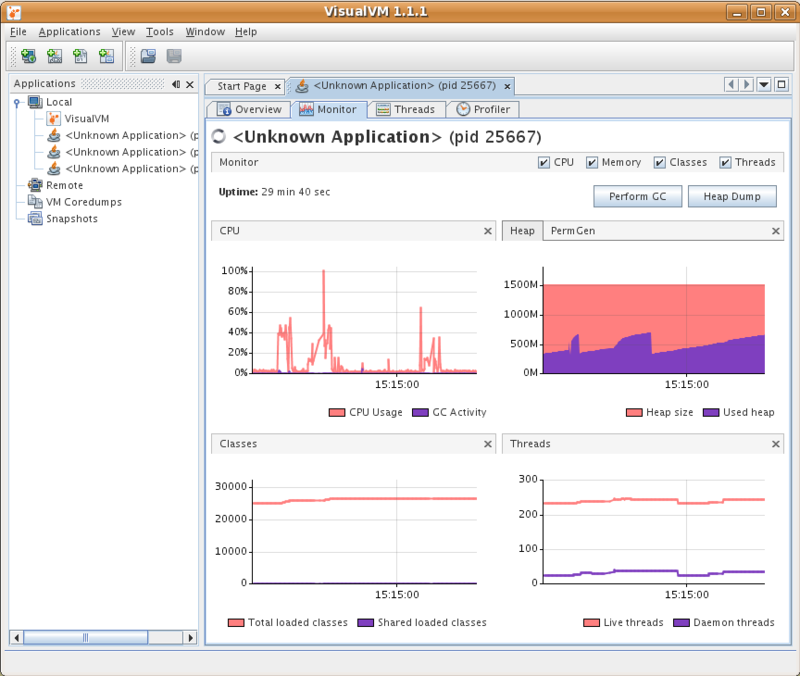 VisualVm is a nice profiler/grapher for Java virtual machines. Here i explain how to use with SAP ISA to do some performance tuning / profiling / monitoring. One drawback is that like most of the new fancy tools, it requires the application to run on java 6, and SAP wants us to run on 1.4. 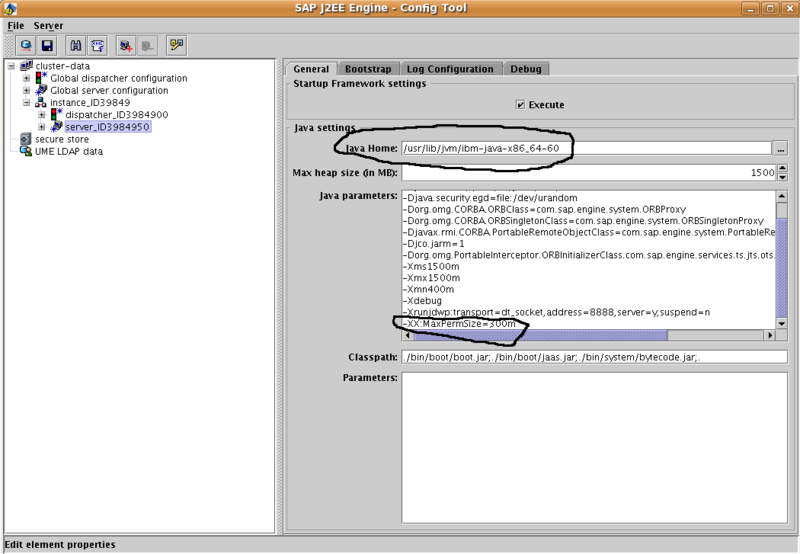 Anyhow to be able to profile the App I am running the whole SAP j2ee server under java 6 during the profiling session. You will want to run the configtool and set the JAVA_HOME to use java 6 in the instance/dispatcher and server screens. Add this parameter in the configtool (VM args). This goes in the configtool, as a jvm arg, do this as you set the JAVA_HOME dir when you follow this doc. The sap engine has to run under java 6+ for this to work. After you are done, make sure to click the save icon and then quit configtool, then restart the engine (stopsap / startsap). 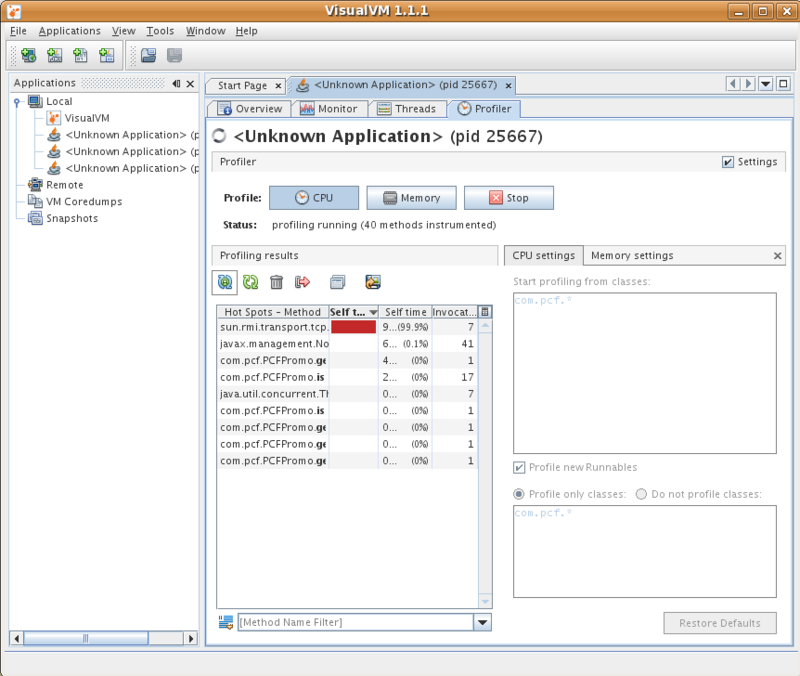 It's way easier to profile if the sap j2ee user is the same user that runs visualvm. Before you start profiling, make sure you set some filters (see screenshot) to only profile certain classes, profiling ALL the SAP classes is guaranteed to be a disaster.